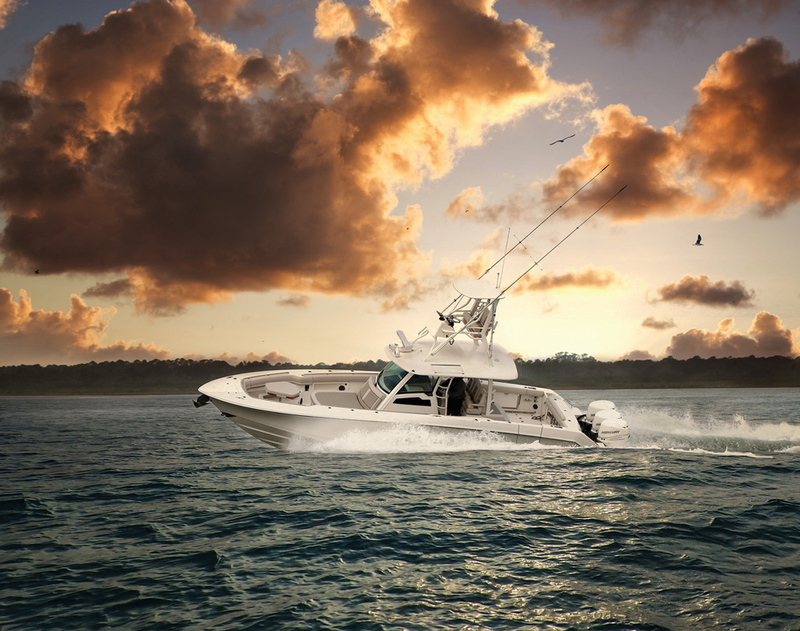 With the M3800, the Mystic Powerboats luxury center console line continues expand. 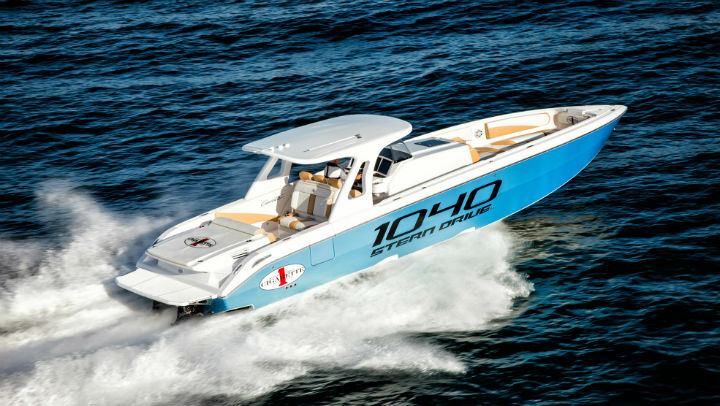 As a showcase for new performance-oriented powerboats, the annual Speed Week in Key West, Fla., in November presents challenges. On one hand, with annual Florida Powerboat Club Key West Poker and the Super Boat International Offshore World Championships boat builders in town for the week boat builders have an engaged and captive audience. On the other hand, they—and their new releases—must compete with all the distractions of Key West. 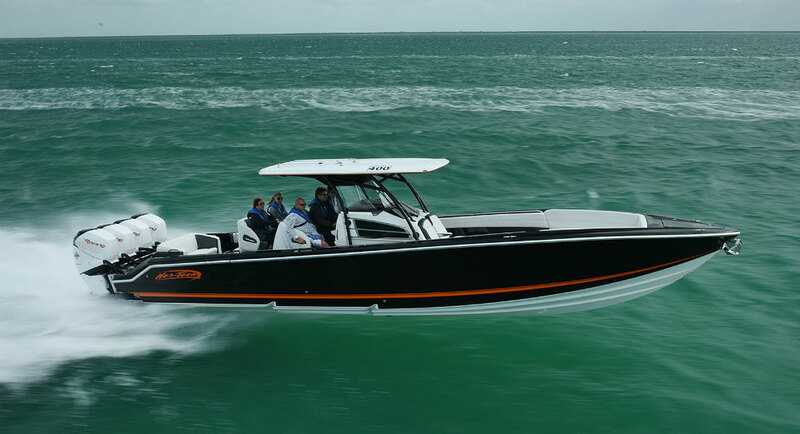 That said, the new Mystic M3800 luxury center console stood out, though its “official public debut” happened during the Fort Lauderdale International Boat Show earlier in the month. 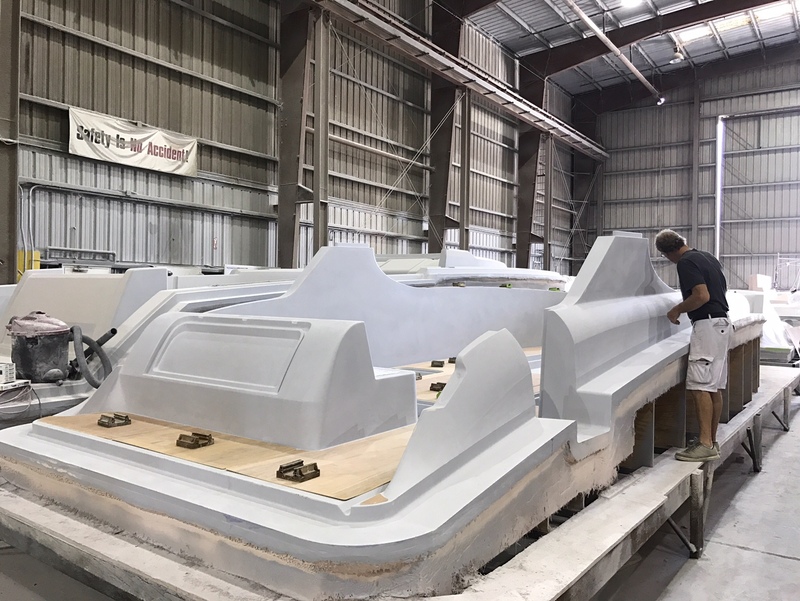 That the new 38-footer, which boasts a 10’6” beam and comes standard with triple Mercury Marine Verado 350 outboard engines, took a bit longer to produce than anyone the DeLand, Fla., center console and catamaran company predicted didn’t matter to anyone who got to take a ride on Mystic’s newest creation. 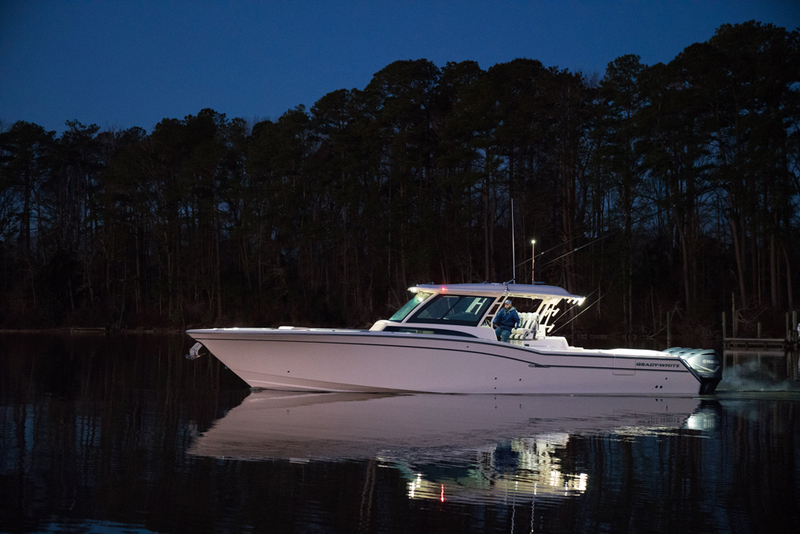 New for 2018, the M3800 is the smaller sistership to Mystic’s M4200 luxury center console. Photo by Pete Boden/Shoot 2 Thrill Pix. As it happened, I was among those lucky folks. On Saturday, I caught a ride with Scott Sjogren, Weber and several guests on the M3800 to the inaugural Mystic Powerboats Key West Lunch at the Key West Marina Harbor. Conditions that morning were bad enough to force the Florida Powerboat Club to scrap its planned raft-up at Woman Key, which made them ideal for my introductory ride on a boat that Cosker and Sjogren had described as “incredibly dry and stable in rough water.” Good to those words, the M3800 ran cleanly into two- to four-foot seas at 40 to 45 mph. But what I didn’t expect was wind protection provided by the door dams on each side of the console. For the entire 20-minute ride, I stood between the starboard console and the gunwale and was able to keep my hat. OK, to be fair, I had to turn it around so the bill faced backward. But minus Mystic’s wind-blocking provisions, my lid would have been long gone the moment we left Key West Harbor. 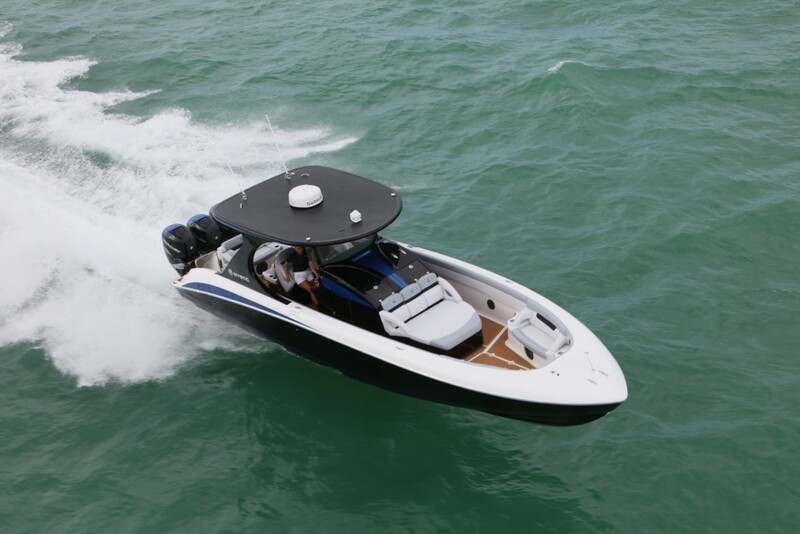 Mystic Powerboats founder and owner John Cosker said he added the M3800 for two primary reasons. “People were looking for a smaller version of the 42, something easier to manage and tow,” he said. “The 42 is a big boat that handles rough water really, and a lot inland lake boaters don’t necessarily need those capabilities. But what Cosker said he didn’t want to lose in his smaller center console offering were the creature comforts, especially when it come to passenger seating, found in the larger version. “It was a bit of a shell game on the computer,” he said. “The boats get smaller, but the people don’t get smaller. The 42 is comfortable and I wanted to retain that seating. We lost about two feet of floor space and some space in the cabin, but I think we accomplished that. Also, the top is about two feet shorter than the top for the 42. 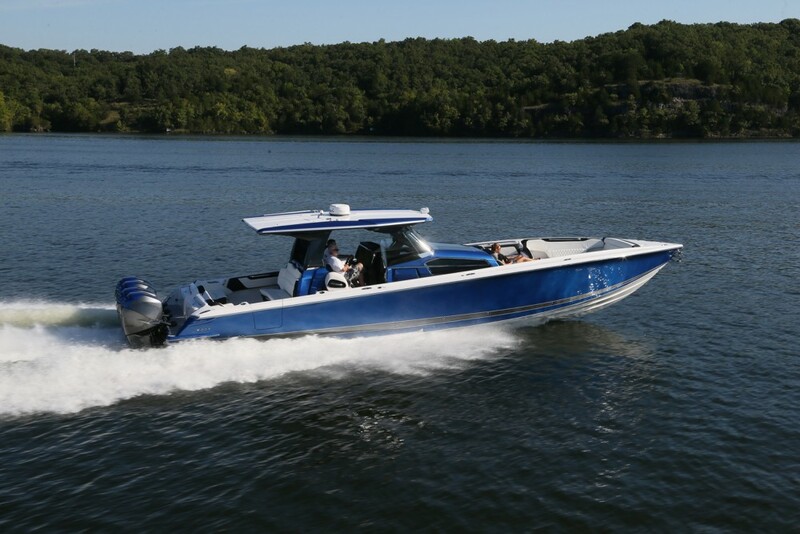 Like the M4200, the M3800 hull is built with vacuum-infused epoxy and carbon fiber stiffeners/reinforcement. At 12,000 pounds, it feels substantial in the water and doesn’t get pushed around easily. Based on the limited yet enjoyable time I spent in the M3800 in Key West, I don’t think Cosker will have to wait long.